Sunday morning. Another walk on the causse, but this time a little closer to home. Lucie and I walked from our house, up the Grealou road, then across the causse at Mas de la Bourriou and back down into Cadrieu. Lovely morning, lovely walk with a variety of cool things to photograph. 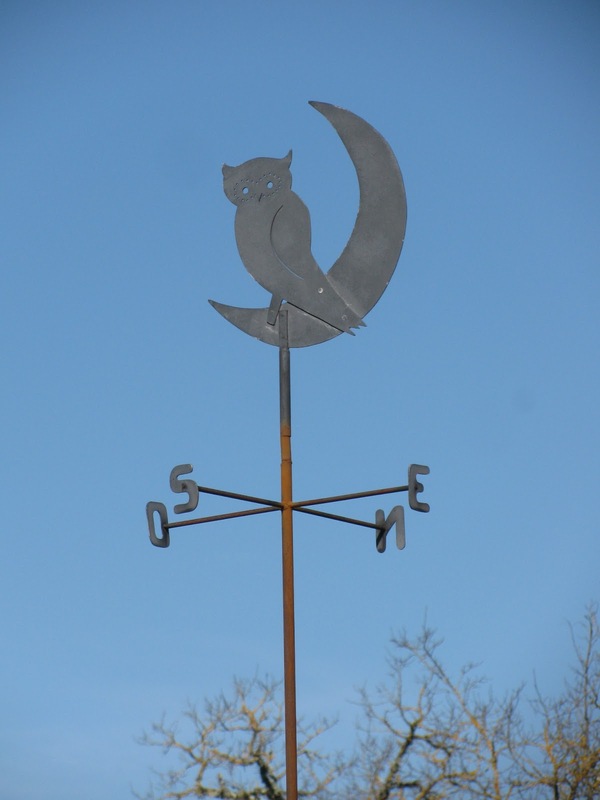 Like this weather vane. You may wonder if the directional letters are correct; they are. West in French is ouest. 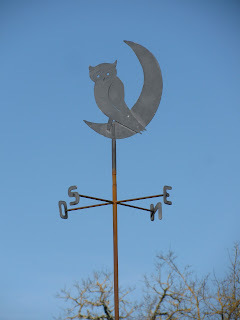 Bet my little owl is whirling circles today. The vent d'autan is blowing...a warm wind from the south and west. Estimated wind gusts up to 100kmh. The way you describe this, I almost feel as though I am there. I love that owl! I want one.